20 June 2018, at 12:00a.m. Mycotoxins are not a new topic and they are certainly not a recent worry. In fact, this year it is a decade since the Council for Agricultural Science and Technology(CAST) released its scientific task force report on mycotoxins and their impact on plant, animal and human systems. Back then the economic impact of mycotoxins in the United States alone were estimated to exceed $1.4 billion, through losses in commodity quality and health of livestock. Much attention should be given to the so-called “conditioned” diseases – for example, Erysipelas, E.coli, Salmonella, Influenza, Pasteurella and Streptococcus. These diseases are triggered by a stress stimulus. Mycotoxins have been shown to be a sufficient and necessary condition to set aflame such infections. This book is intended to be read by those involved in swine production, whether nutritionists or veterinarians, by students aiming to increase to increase their understanding of the topic, or merely by curious minds. 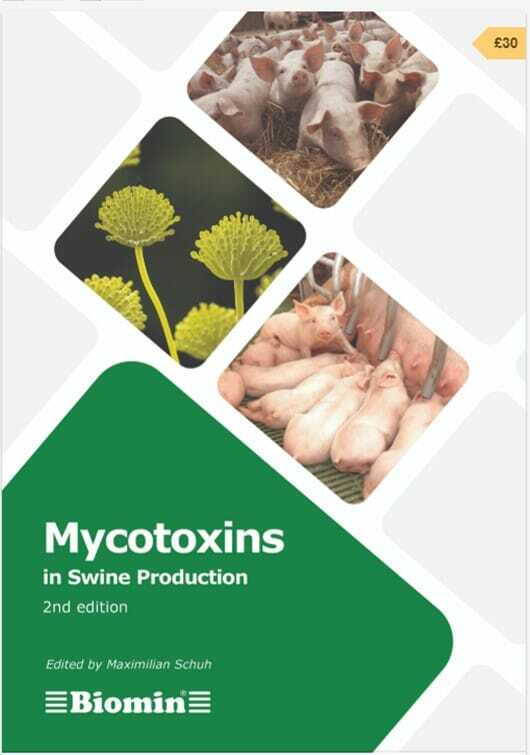 Knowledge has been gathered from several experts and compiled to produce information on a wide range of topics from general concepts on mycotoxins by fungi, to their effects on swine performance, fertility and immunity. "It is BIOMIN’s duty as a leader in Mycotoxin Risk Management strategies and a worldwide expert in animal nutrition to identify the enemies hindering efficient animal nutrition and to present you with tools to counteract them." Click here or here to download your free digital copy of Mycotoxins in Swine Production (2nd Edition) and start improving the health of your herd today! Just enter the code below into the payment section – we have a limited number of free downloads remaining, so act now to get your copy.